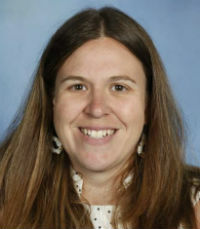 Michelle Dennis has presented at both in-house and external professional learning forums in the area of educational technologies and has been a key driver in the implementation of new technologies that drive the learning environment and program at Strathcona Baptist Girls Grammar. She has redesigned the Strathcona Year 7 and 8 interdisciplinary project to be focused around digital technology, including coding, and gave it the new name #CoLAb to evoke the program’s technical and collaborative aspects. Dennis has also supported many staff in their teaching, including the use of virtual reality in the classroom. She has developed and introduced the studies of Digital Futures at Year 8, Creating New Worlds in Virtual Reality at Year 10 and VCE VET Creative Digital Media for students from Years 10–12, which have sparked considerable interest from students in their elective choices.